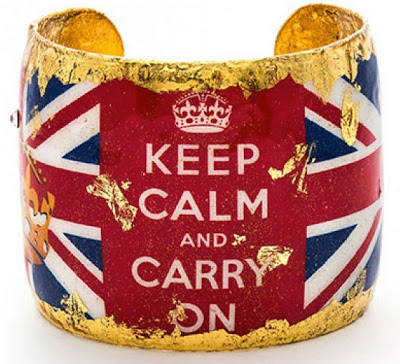 STACY IGEL: Midnight Inspirations: ÉVOCATEUR Cuffs! One of my favorite mottos is, "Keep Calm and Carry On." I've been saying it for years, and when the phrase got popular, family, friends and colleagues started buying me little knick knacks that said Keep Calm And... 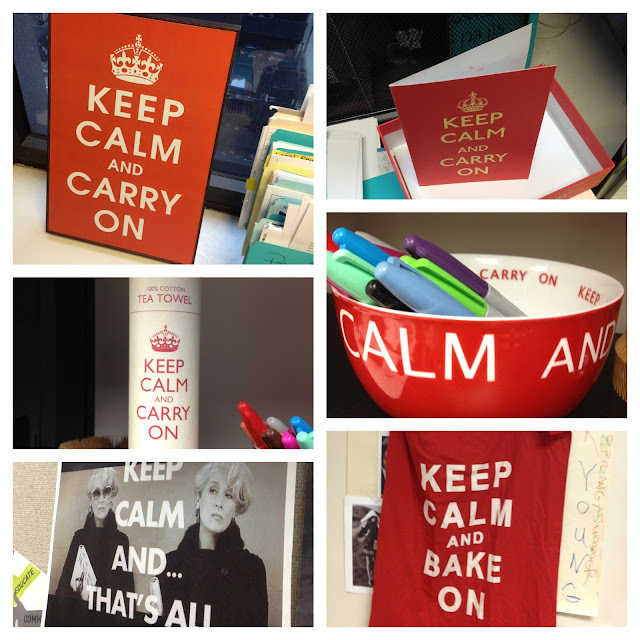 I have bowls, aprons, signs, note pads...you name it, I probably have it! So when I found this ÉVOCATEUR cuff above, I had to have it. Plus it doesn't hurt that my last show was British Invasion-inspired. ÉVOCATEUR is a collection of one-of-a-kind jewelry and accessories that is made in the USA. According to their website, "Each piece conjures a story that's yours to tell." I gave you two of those!! Every time I see something "Keep Calm and..." I still think of you!